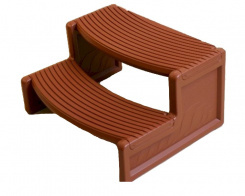 The Handi-Step snaps together easily for quick assembly and is cleverly designed to fit both round and straight-edged spas. 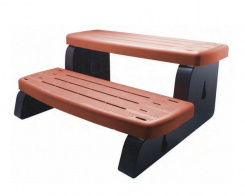 Made of UV-resistant plastic and are equipped with non-slip strips, these steps are very strong and can support up to 350 kg of load. 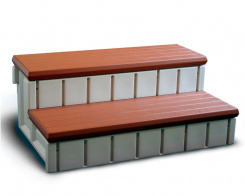 These attractive and practical steps offer a convenient place to store your hot tub supplies. 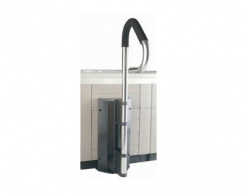 The Spa Side Hand Rail is very simple to install and requires no assembly. The attractive carbon gray powder coat is accented by the new battery-powered LED mood lighting located on the interior curve of the rail. 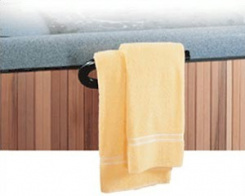 The TowelBar by Leisure Concepts keeps your towel handy, but away from spills and splashes. 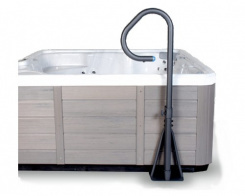 It folds out so that your towels are hanging a few inches away from the edge of your spa.